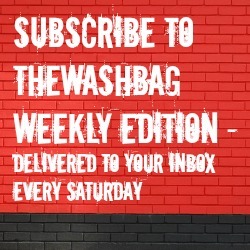 Washbag Podcast: Episode 35 – Spectacular game, five Town goals, where are the crowds..? Host Ron Smith is joined by three guests to latest events at the County Ground – FLICWiltshire’s Sport Editor Andrew Steele-Davis, TrustSTFC Chairman Steve Mytton and Town fan Neil Cameron. What was all that about? Seven goals, Swindon scored five, against a team managed by Clough junior on the ten year anniversary of his father’s death…clearly there’s no sentiment in football. So we’ve learnt that those many who put money on Sheffield Utd to win the title were seriously misled, can Swindon now prove us, myself included, wrong and maintain or better their play off position? Meanwhile, are there too many outlets to read Swindon Town news on a daily basis? Do you have enough time to now follow what’s going on, let alone even listen to this podcast. Attendances, or lack of numbers through the game, is the hot top of the moment, which the four also discuss. The next podcast returns in a few weeks.